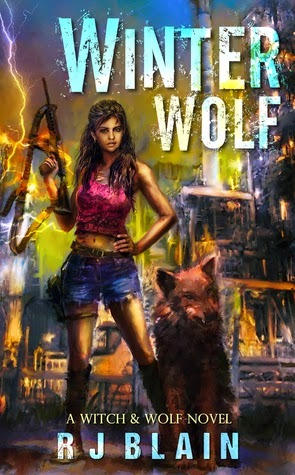 Winter Wolf Excerpt & Giveaway! 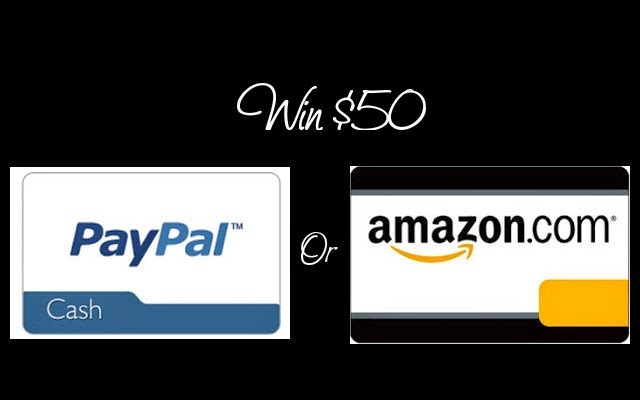 Enter below for a chance to win $50! Fake blood, the stuff they used on movie sets when the director didn’t want to use CGI, was nothing like the real thing. It lacked heat, turning a regular shoot into a sticky, shiver-inducing chore. Scott’s blood was warm. After what felt like an eternity—but couldn’t have been any more than a few minutes—his blood still hadn’t dried or cooled. Drop by drop, it fell from the ceiling onto me, the cashiers’ counters, the tabletops, and the floor. I couldn’t force myself to move, fearing it would shatter the quiet that had taken hold of the store. Maybe, if I stood there long enough, everything would prove to be a nightmare instead of reality. I wanted to close my eyes, but I didn’t dare. What I might imagine terrified me more than the reality of Scott’s mangled body lying at my feet. His sightless eyes were fixed on me, accusing me of not having done something to save him. I shifted my stare to something—anything—other than him, picking one of the shelves filled with books I’d probably never get a chance to read. Then my thoughts wandered to the last thing I wanted to think about. Could I have saved him? People like me—wizards, practitioners of the darkest arts—were hunted down because there were those who believed we could do anything, and that made us dangerous. Scott had died right in front of me, and I hadn’t been able to do anything to prevent it. If wizards were so powerful, I should have been able to stop his death. I survived each day by running and hiding from those who believed people like me needed to be destroyed. Maybe they were right. Maybe, somehow, I had caused Scott’s death. Had I lost control and used the powers I tried to so hard to hide? I wasn’t sure. I didn’t have any answers. Someone must have had the presence of mind to call for help, though I didn’t know how they had managed to. When the police arrived, the stunned silence broke into a chaotic cacophony of everyone talking at once. Some screamed. Some cried. 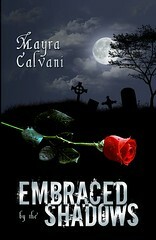 Others crumbled under the horror of a death too gruesome to be real. The presence of the cops turned the nightmare into something none of us could deny. I kept still, staring at the uniformed men as they burst into the bookstore. They stopped and stared at the cash registers, their mouths hanging open as they took in the kind of carnage that belonged in a zombie movie. One of them fainted, collapsing in a boneless heap. I drew several quick breaths, but managed to quell the surge of panic coursing through me. Fainting would’ve been smart; I wouldn’t have to see anything at all. I wouldn’t have to face the nagging doubt that I was somehow responsible for Scott’s death. At the light touch of a hand on my elbow, I sucked in a breath, flinching away. My heart tried to escape out of my chest via my throat, strangling my shriek. 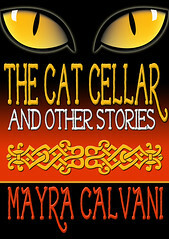 Clair, a small-town girl attending Iowa State University in 1940, has her palm read for a laugh—and gets a surprisingly specific prediction about her career, marriage, and children. She laughs it off, with no idea of how accurate it will turn out to be. After a failed romance, she hastily marries a man named John, has two children, and very soon finds herself miserable. John is not only abusive and controlling, but also a compulsive gambler. In an effort to support their family, Clair finds work in a nearby department store, and her career in fashion begins. In the sixties and seventies, Clair works her way up through the industry, chipping away at the glass ceiling of a field with far fewer women executives than the ad firms of Madison Avenue at the time. As an executive buyer for numerous retail conglomerates, she travels the globe searching for innovative fashions and meets regularly with iconic designers such as Coco Chanel, Yves Saint Laurent, and Oscar de la Renta. Among the fashion elite living the high life, there are steamy affairs, drugs, and suicides, as tragic elements mark the lives of these women in fashion whose insecurity remains hidden beneath their stoicism. 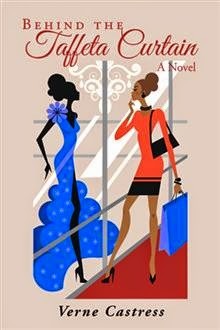 This novel tells the story of Clair’s journey through the fashion world, a single mother contending with the conniving wiles of men and women and facing obstacles in the devious, behind-the-scenes political struggle of those climbing to the top. Tom is giving away one $25 Amazon Gift Card! Commercial Acting in L.A. Book Blitz & Win $25 Amazon Gift Card! 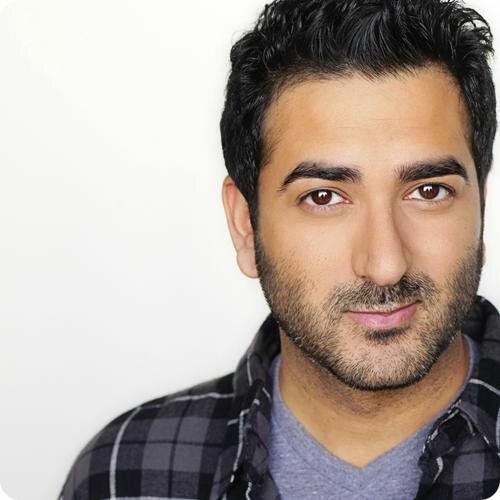 We’re happy to be hosting Shaan Sharma and his COMMERCIAL ACTING IN L.A. Book Blitz today! Title: A Session Director’s Guide to Commercial Acting in L.A.
Shaan Sharma’s A SESSION DIRECTOR’S GUIDE TO COMMERCIAL ACTING IN L.A. is the commercial acting industry’s most comprehensive book ever written – – giving readers a step-by-step guide to breaking into and prospering in the commercial acting business in the world’s entertainment center, Los Angeles. Fusing his experience, wisdom, vignettes and wit – Sharma is about to change the lives of those who thought big-picture acting was nothing but a fantasy, as well as those commercial veterans who could be even more successful. Having directed audition sessions for over four hundred national commercial spots for dozens of L.A.’s top casting directors, Shaan Sharma is a well-known veteran of his industry. 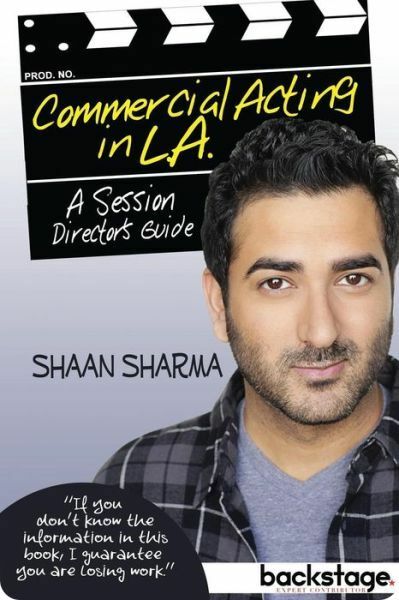 Now expanding his reach through a powerful new book, Shaan is looking to help thousands of actors better navigate their way through the commercial acting business by putting into practice the tips and information he has spent fifteen years discovering. Regardless of experience level, A SESSION DIRECTOR’S GUIDE TO COMMERCIAL ACTING IN L.A. contains insider knowledge that will help actors better understand the process and in turn be more successful. Shaan’s book features compelling illustrations by Paul Loudon. In the end, training to be the best actor you can be, creating your own work, getting in front of casting directors whenever possible through workshops and showcases, submitting yourself for work on and offline, getting great representation and working with them to expand your opportunities for mutual success, being knowledgeable about the business and casting process, giving as much as you can of yourself to other actors, and being awesome to, and interested in, the people that make it all happen day-in and day-out is the best way to maximize your chances of success, not only as a commercial actor but as a professional actor, period. I hope that this information has been a helpful starting point in knowing what to do. Almost all of us move here from somewhere else with no good information as to how things actually work, and it can be so hap-hazard where you end up training and how you end up finding out the right information. It’s my hope that this insider look into the world of commercial acting and casting helps you sidestep the mistakes I and others naturally made when we started out. A better-informed and trained acting community will only make my life easier in the casting studio. In fact, this material is actually all a selfish effort for my own benefit. But hey, if good is achieved with it also, well then that’s extra karma for me. Shaan Sharma is giving away one $25 Amazon Gift Card! This giveaway begins November 3 and ends November 29. Winner will be contacted via email on Monday, December 1. 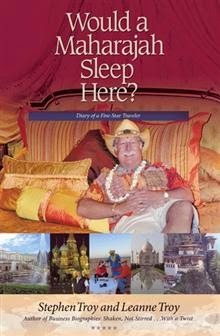 Title: Would a Maharajah Sleep Here? Inspired by a movie, television show, book, or stories from friends, we may find ourselves daydreaming about trips to exotic locations with exciting adventures. For some lucky ones, these dreams become reality. Would a Maharajah Sleep Here? presents firsthand stories of luxury travel and discovery by two fun and experienced travelers. 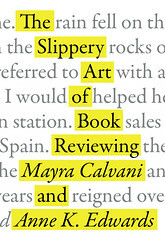 Authors and travelers Stephen and Leanne Troy provide accounts of historic exploration, luxury hotel stays, and encounters with interesting people around the world. Each trip is private and planned in great detail to make sure each and every adventure is unique and experienced in five-star luxury. Chronicling their exploits at the end of each day, the Troys describe checking into the finest hotels in the world and getting whisked away for incredible tours of some of the world’s greatest treasures. In addition to personal anecdotes, this travelogue shares information about sites, history, culture, and food in countries around the world. The Troys reveal the good, the bad, and, of course, the fun and funny events that they encountered on their trips around the globe. Stephen Troy earned a BBA from the University of Miami in Florida. He is the founder, owner, and CEO of AeroFund Financial. He is also the author of Business Biographies: Shaken, Not Stirred … With a Twist. He and his wife, Leanne, have visited six continents and more than forty countries. They have three children, two grandchildren, and live in Carmel, California. Civil war is a curse that touches everyone, including King Tashdar of the Mulamar. 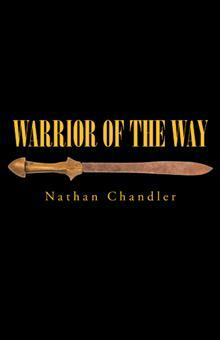 When he is ordered by a powerful and mysterious stranger to send warriors toward Kanai and Kadisha to slaughter everyone, Tashdar has no choice but to obey. As the Hebari emperor’s palace is invaded, only one man escapes—a captain of the guard to whom the emperor has entrusted the safety of his remaining two children. Moments later, the emperor’s legacy is erased from the face of the earth. More than forty years later, Pasha Nuvahli of the Sashramans tribe, greatest of the king’s warriors, is devastated when his wife is murdered and his son is kidnapped. Overcome with despair as war and a dangerous sorcerer threaten the southern tribes, Pasha soon finds himself in a crisis of faith as he ponders why Daiyu has allowed such sorrow to befall him. But after he learns of an ancient prophecy and his hidden connection to the last emperor of the south, Pasha is sent by King Juktan to seek an alliance with the five other Hebari tribes and lead them against an ancient enemy from the north. Suddenly, his life takes on a new meaning. In this compelling story, a worried king looks to his greatest warrior to unify the south with the hope the young soldier can save his people before all is lost forever. Much that passes for management training is, unfortunately, superficial or just wrong. Economic incentives are clearly basic but always insufficient. Application of authority is indispensable but can backfire or fail. Motivational programs can turn out to be all PR and noise. Workers may be satisfied and unproductive. Cost control measures can gut the core of product quality. Balancing it all can be a juggling act that daunts average intellectual and social skill. Managing and supervising skills can be learned on the job if failure is tolerated. Only limited trial and error can be accepted. The best available advice and mentoring is required for survival over the long course. The chapters of this book will provide the working manager with the knowledge necessary to accelerate learning and skill mastery. When put together in a coherent, working package through experience, that mastery rises to the professional level. The author, Dr. Glenn Bassett, applies his unusual range of practical and professional experience to defining and clarifying the requisite skill and knowledge. From his background as a working personnel executive, professor of management, GE corporate staffer, social science researcher, consultant and business school dean he critically and synergistically sorts out the realities of sound management practice. He deals with issues of authority and discipline rationally and realistically, disposing summarily of nearly all standard motivational theory. He challenges commonly offered “principles” of management showing that many are misleading or illusory. He lays out the principles of worker productivity that a manager must grasp to control cost and quality. What emerges is a description of the Manager’s Craft that summarizes the knowledge and skill required of the working manager who must exercise control in the workplace, build commitment among colleagues, and sustain high quality, cost-effective productivity. This is an intellectually rigorous analysis applied to achievement of practical managerial results. This is The Manager’s Craft. 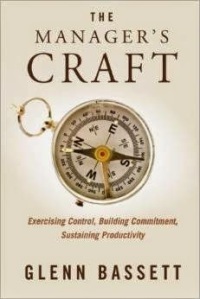 The Manager’s Craft is available at Amazon. Dr. Glenn Bassett is Professor Emeritus of Management and former Dean of Business at the University of Bridgeport. A graduate of Berkeley and Yale, as well as a former corporate staffer at General Electric, Dr. Bassett’s career has focused on applied Social Psychology. WordPlay is the result of exended research into the science of psycholinguistics. He is the author of numerous articles and published books, including The Managers Craft. Thanks for joining us today, Madeline. Can we begin by having you tell us how you got into the YA paranormal genre? Madeline: I’ve always loved a good ghost story, so when I moved to New England I decided that I’d go ahead and take a ghost hunting class. I was obsessed with all of those shows on TV, so I figured it would be fun. As it turned out, it scared the hell out of me. Not so much the whole, dead Aunt Mary hanging out on the staircase part, but the demons in the attic part. By the last week of class, sleep and I were no longer on speaking terms. So I decided to go ahead and try and write a novel about all of my worst fears and the book was born. Is writing what you’ve wanted to do all your life? Madeline: Yes and no. I originally wanted to grow up and be the ruler of a small country, but that hasn’t really worked out. I’ve been writing all of my life, so it’s become a part of me more than a profession, per se. I would love to know more about your character, May Krieg. Would you like to tell us about her? Madeline: She’s a teen who feels a bit like an outsider. She lives in a wealthy suburb and she’s the girl who has to shop at second-hand stores and doesn’t have the money to drop on weekly manicures and things, but she’s quirky and always the first to volunteer to work at a soup kitchen or make lunch for the homeless. She’s also a bit naïve and can be a bit too quick about drawing up assumptions about people. That being said, even though she’s not in with the popular kids, she’s extremely devoted to the friends that she does have and would walk through fire for the people she cares about. Madeline: He’s the “it” boy. He’s got the money and the looks and the charm to rule the world. But on the inside he’s broken. His mother has passed away and his dad is never around, and throws money at him in the hopes that it will replace any actual parenting that he should be doing. He’s left to his own devices all the time, so he has become very self-sufficient but also a bit cold on the outside. He’s slow to warm up to people because on the inside he’s worried that they’ll just abandon him the way his parents have. Madeline: The sequel to DAUGHTER OF THE FALLEN. The book ends on a hook so I have to make sure readers aren’t left in the dark for too long! Madeline: Thank you so much for reading! I love hearing from readers, so please feel free to reach out!